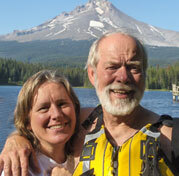 35 years ago Jan and I began leading wilderness programs for youth in the Sierra's of California. We had a vision of how youth and adults could benefit from adventuring, struggling, wining and having fun in God's creation. We experienced it and thought others should too. Our mission statement today reads much as it did then; to challenge youth and adults in educational adventure programs so they might grow physically, spiritually, socially and emotionally for their betterment and that of their communities. On Adventures West programs – we have few problems with distractions such as cell phones, games, friends or family when we are rafting, canoeing, rock climbing, caving, backpacking, mountain climbing or mountain biking. People like having fun with us even when throwing buckets of H2O or sleeping under the stars. We can custom design a program for your groups needs? You can combine one experience with another such as a day of rock climbing, do a cave that night, then raft the next day. That's a lot of activity in a short period of time. Is there a special message you want to get across to your people? Activities can be directed to make a point and guides can lead discussions focusing on your goals for your group or company. Adventures West is owned by two Christians who make every attempt to run this company according to the teachings of Jesus who lived love and acceptance of all people. One of his greatest teachings was to help people – we hope (in some small way) this is what we do when we take you on one of our trips. 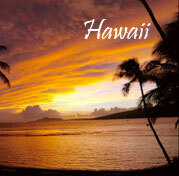 Open Enrollment trips are Adventures West's attempt at bringing change into your day to day living. These trips are not hotel by the pool programs but adventures requiring warm sleeping bags, camp chairs, snorkels & fins or paddles. Whether camping in Kauai County Parks and running from your tent across the grass to the sandy beach and ocean beyond or floating in a canoe or raft down a Canadian wilderness river for 4 days, all of our programs are done within the framework of a Christian community. We strive to serve those on the trip and the people we meet along the way. Adventures West is adventure. Adventures West provides outdoor trips for a wide variety of groups. What ever type of trip you're looking for, look no further! Note: Adventures West is a booking agent for HDRO/High Desert Outfitters. All Adventures West Deschutes River trips are contracted to HDRO/High Desert Outfitters and staffed by HDRO/High Desert employees such as Ed Cogar, Scott Elliot and Rachel Cogar. © Copyright Adventures West Outfitters & Guides.